2015 was a very interesting year for me as I went from reading about video games to writing about them. A fascinating turn of events to be sure, at least for me if no one else. It’s been great fun seeing how the mobile sausage is made and even throwing in the mix the occasional spice or two. In regards to the industry, this year has probably been the most prolific in terms of game releases, to the point where it often feels like a futile fight against an ever-rising tide. Still, we strive to stay afloat and fight the good fight. This list is by no means exhaustive and speaks less to the quality of a specific game and more to how it resonated with me personally. So, without further ado and in no particular order, here are the 2015 games (plus a 2015 expansion to an older game) I enjoyed the most. 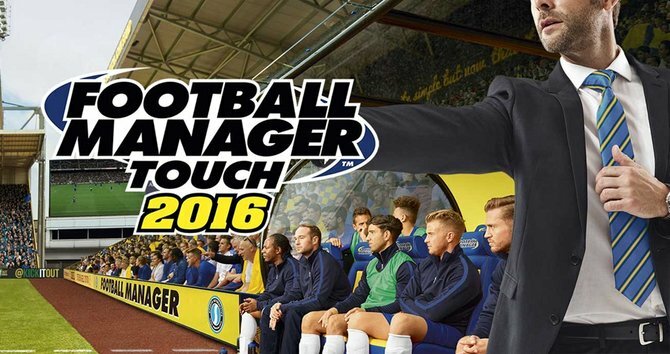 I have to start this list with what was probably my pick for game of the year, Football Manager Touch 2016 ($19.99). I was very pleasantly surprised at how good Football Manager Touch 2016 ended up being. While I was hopeful that after last year’s iteration Sports Interactive was well on its way to create a great Football Manager game for tablets, I was still surprised at how good FMT 2016 is. With a huge player database, deep but not overwhelming tactical options, and a pretty great touch interface, FMT 2016 has already stolen too many hours of my life and I can see that trend continuing well into 2016. If you’ve been reading any of my stories for TouchArcade, you’ll know that I enjoy CCGs and also enjoy games that try to innovate upon proven formulas. Earthcore: Shattered Elements (Free) definitely tried to break away from the CCG pack by deviating from the mechanics of games like Hearthstone and Magic the Gathering and giving us a card game where even weak cards matter. Add to that some fantastic visuals and a great (and feature rich) multiplayer mode, and you’ll see why I’ve spent many hours playing Earthcore. Though technically a port of the PC game Card Hunter, Loot & Legends (Free) innovated enough on the well-tried formula of its PC brethren to justify being seen as its own, distinct game. Loot & Legends managed to reproduce the experience of sitting around a table and imagining fighting monster after monster. Blending CCG mechanics with dungeon crawling and dressing it all in a humorous and quite attractive package, Loot & Legends was a very entertaining game with a strong sense of progression and a fun “metatextual" approach. Telltale’s ever-widening net managed to grab the Minecraft IP, and while many doubted that a strong narrative could be built on the bones of the flagship sandbox game of this generation, Telltale definitely killed it with Minecraft: Story Mode (Free). Managing to create a strong (if slightly predictable) story and talking to both casual and die-hard Minecraft players, Telltale brought the Minecraft universe to life better than I could have hoped for. This task was harder than it looked, but Telltale’s experience in creating narrative-based series definitely paid off here. While the lack of a multiplayer mode was disappointing, Ultimate General: Gettysburg ($3.99) was still a very impressive strategy game. Real-time Strategy games don’t often work very well on touchscreens, yet UGG controls perfectly and really makes the player feel like a general moving his forces around the battle map. Add to the great controls a fantastic art style that has made UGG one of the games I use to show off how pretty iOS games can be, and you can see why I liked it so much. Above all else, Lifeline ($1.99) was a clever idea; taking the device’s notification system and intertwining it with the game’s narrative was pretty smart. It really helped create a connection between the player and the imaginary protagonist. And, at least in my eyes, the whole thing worked. While the story wasn’t the most original and the protagonist wasn’t the most memorable, there was enough tension in Lifeline and enough important decisions to make me feel like I was indeed helping an astronaut survive. Transistor ($4.99) was in all aspects a masterpiece of a game. Visually stunning, with an amazing soundtrack, and with a control system perfectly adjusted for touchscreens, Transistor was a joy to play. The game’s world was wonderfully realized and the story quite intriguing. This was not the type of game where one element was obviously more developed than others; every single element of Transistor was meticulously designed. A truly fantastic and memorable game. Besides getting the award for the longest game title of 2015, Dandy ($3.99) was also a very fun shoot ’em up. The most entertaining part of this 2-D game was the enemies’ design since each one of them had its own behavior and you had to work out how better to battle them. The many power-ups gave the game plenty of variety and the visuals definitely helped the game stand out. Dandy is as close to an iOS version of The Binding of Isaac as we currently have, and that by itself says a lot about the game. Subterfuge (Free) matches don’t always click; very often there are no alliances and no grand-scheming going on. But when the backstabbing and the scheming works, Subterfuge becomes the most satisfying “stab-your-friend-in-the-back" experience on the App Store. When taken seriously (in a strategic sense), Subterfuge becomes one of the most calculating games on the App Store and definitely unlike most other offerings. The game’s slow pace has been a great fit for my busy schedule, and it has definitely been scratching the strategy game itch since it came out. I couldn’t leave Hearthstone‘s (Free) League of Explorers Adventure off my games of the year list since I probably spend more time playing Hearthstone than any other game, and this Adventure has done a lot to make the game even more enjoyable. While the Adventure part was certainly entertaining, what has really spiced up the game are the 45 new cards that have helped revitalize Hearthstone and made building decks even more entertaining. With this Adventure, Hearthstone has reminded everyone that it’s still one of the biggest games on iOS and that it’s here to stay. Next PostNext ‘Grayout’ Review – How Do I Word?